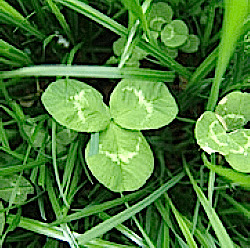 Clovers are highly palatable and best for grazing and silage. Freedom Red Clover Seed from Barenbrug is bred for dry matter yield having thinner stems with less pubescence for faster dry down. 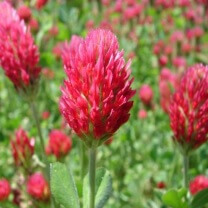 Frosty Berseem Clover Seed from Byron Seeds is a fast growing annual clover with quick establishment and rapid growth. Buy yours here! Certified Organic KingFisher KF Vigilant from Byron Seeds is a dual short and tall white clover custom blended for grazing. Clover seed in stock. Discounts available! KingFisher Vigilant from Byron Seeds is a dual short and tall white clover custom blended for grazing. Clover seed in stock. Discounts available! 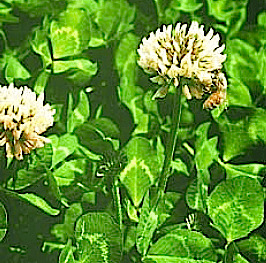 Liflex White Clover is an European variety selected for grazing. Get your here! Mammoth Red Clover is large variety reaching 2-3 feet at maturity with big leaves and long tap roots that loosen soil, available in organic. 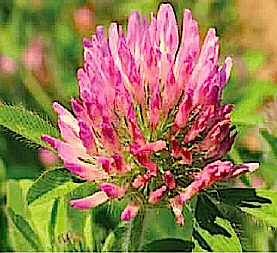 Medium Red Clover Seed is a low cost legume that is fast starting, shade tolerant, and good for short rotations as it is short-lived. Milvus Red Clover Seed from Byron Seeds is a shorter dense variety good for grazing or haylage. Red clover seed in stock. Discounts available! Regal Graze White Ladino Clover Seed provides Overgraze Protection„¢ for persistence under abusive grazing, yet its not overly aggressive. Try yours now! Renegade Red Clover from DLF is an early flowering, double cut clover with improved resistance to southern anthracnose and downy mildew. Resilience red clover that is persistence with great yields. Scored more winter hardy than most red clovers.